The 5th generation Camaro is one of the most common vehicles on the road today. You most likely see one daily or you may even drive one. They are offered in all different trim packages from the V6 RS model, to the V8 SS model, and also the supercharged ZL1 Camaro. What sets all these different Camaros apart though? There are many things that do but one in particular are the brakes offered on each of them. The supercharged Camaro ZL1 offers the largest of the front brakes and the most stopping power of the three vehicles. The calipers are six piston Brembo brakes. There are two 38 mm pistons, two 34 mm pistons, and two 30 mm pistons which are staggered front to back. 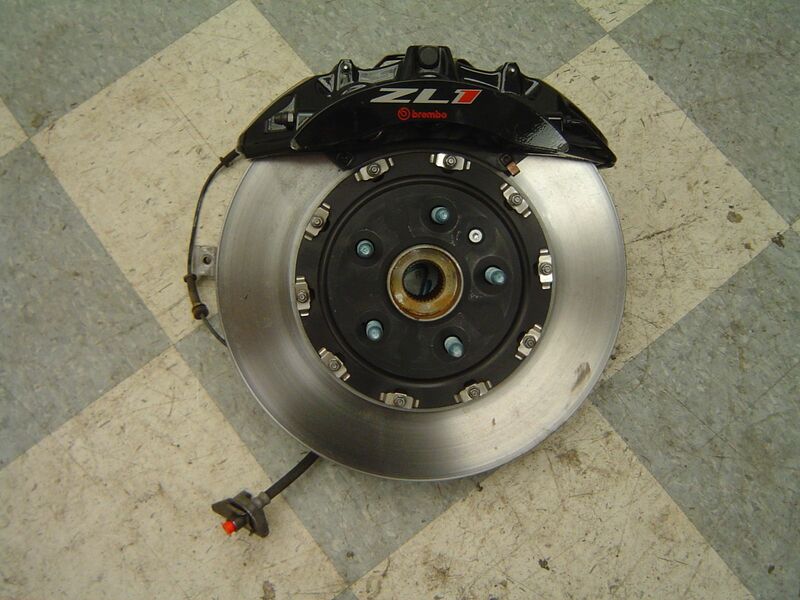 To go along with the larger front calipers the ZL1 has two piece rotors which measure in at 14.6″. This makes for a lighter rotor and also less susceptible to warping like the one piece ones offered on non ZL1 models. Below is a photo of both the caliper and rotor from a ZL1 Camaro. 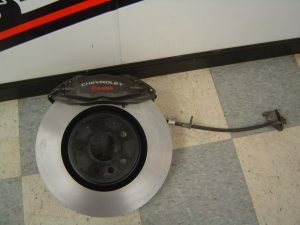 The Camaro SS also features Brembo calipers but unlike the six piston on the ZL1 Camaro the SS has a four piston setup. These pistons measure 40 mm and 44 mm. The SS Camaro features a one piece 14″ rotor. You can see a photo below of the caliper and rotor for the SS model. The V6 Camaro features of course the smallest of the brake setup between the three vehicles. 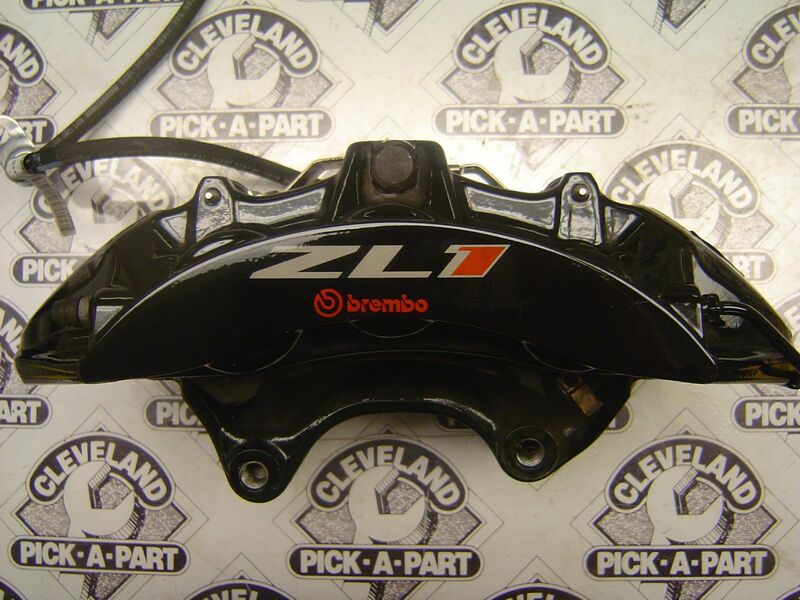 On the front they have a single piston caliper and a 12.6″ one piece rotor. 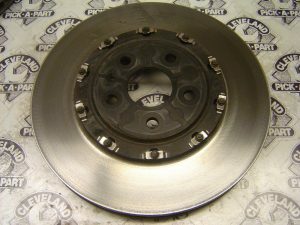 The question a lot of people ask is can I upgrade my SS Camaro or V6 Camaro to the Camaro ZL1 front brakes and what does it take to do so? The answer is yes you can and it is a bolt on upgrade for either model. You will need the front ZL1 calipers, rotors, and front dust shields. All components that are included with the upgrade we have available. 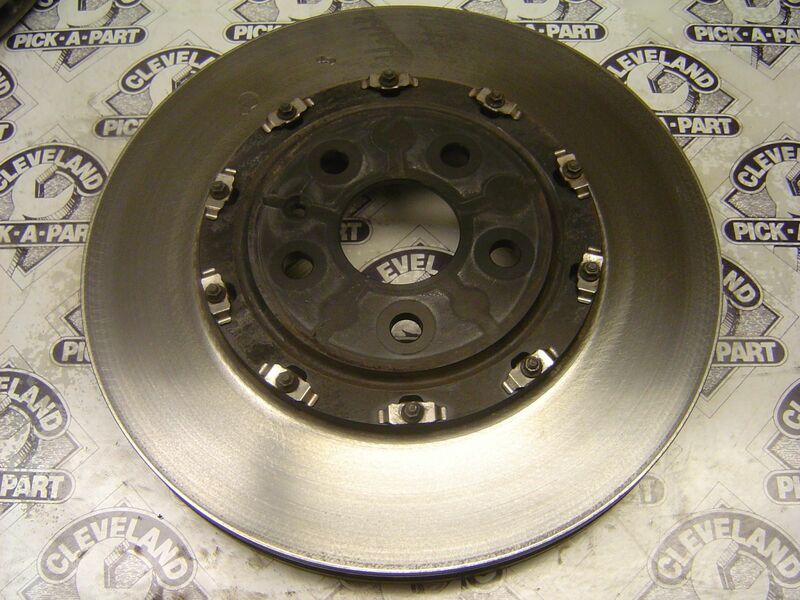 The only change needed for these to fit on your non ZL1 vehicle are 20″ wheels or greater to clear the calipers. Below you can see the bolt on upgrade put together.